Calling all muggles! 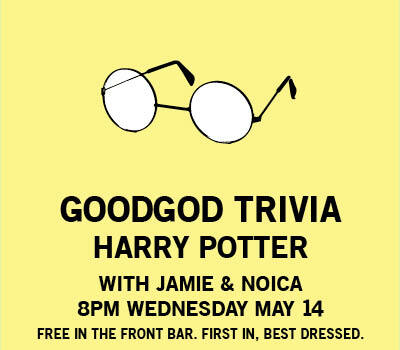 At long last, Harry Potter trivia is BACK! You’ve spent years studying the amazing world of Hogwarts, now it’s time to put it to the test! There’s jugs, food and more to be won, and it’s hosted by Goodgod & The Dip’s own Jaime & Noica! First in, best dressed… get in early for prime spots and dress to impress!